For your business to accept credit and debit card payments, you’ll need a merchant account, which is provided via a credit card processor. There are literally hundreds of credit card processors to choose from, and at first glance they all seem to do basically the same thing. So how does a smart small business owner figure out who to pick? 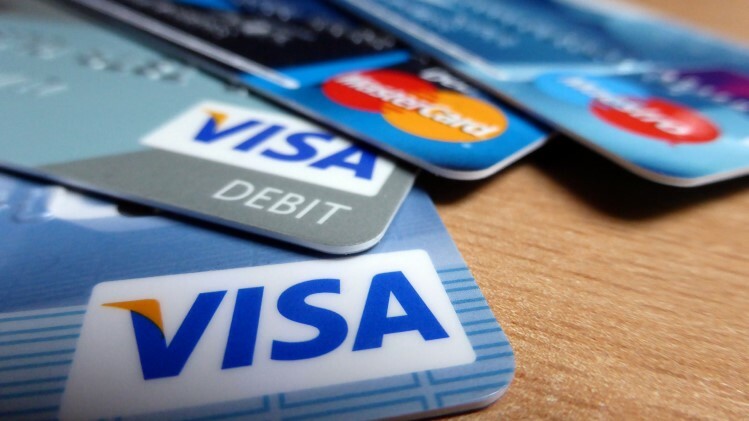 In this article we cover the most important factors you should consider when choosing a credit card processor to make your accounts receivable tasks just as simple as those for your accounts payable staff. For the vast majority of small businesses, the most important factor when choosing a credit card processor is price. That’s because if you don’t need anything special in terms of software compatibility, fraud protection or service, then essentially all credit card providers provide the same service from your business’ perspective. Thus, price is what matters most. Unfortunately, determining the cheapest deal is a little more complicated than it would seem. There are two major pricing methods in the credit card processing industry, tiered and interchange plus pricing. There are advantages and disadvantages to both methods, but whichever you pick, make sure that every company providing you rate quotes is using the same method, so that it’s easy to compare pricing. Make sure to add in monthly fees and authorization charges to figure out an overall ‘cost to process’ for your business. In addition to the credit card processor prices that you receive up front, there are also likely to be many ongoing fees your business has to pay for. That is why it so crucial to factor in the fees charged by the providers you are considering, especially for value added reseller businesses. Fees can vary greatly from one credit card processing company to the next. Make sure you research the credit card processing fees incurred by every company you are considering in order to pick the best credit card processor for your business. When you accept a customer’s credit card payment, you don’t get those funds deposited instantly into your bank account. Rather, your credit card processor has to obtain the funds from the customer’s issuing bank and then deposit them into your traditional or virtual bank account. Some credit card processors can get you your funds in as little as one business day, while others can be as slow as 3-5 business days. That difference may not seem like a big deal, but particularly when you’re starting out, having to pay your expenses and cost of goods sold on day one, but only receiving your funds on day five can be very hard on your fledgling company’s cash-flow. If you plan to just take credit card payments in person, then the risk of fraud (especially now that EMV chip card technology is here) is pretty minimal. If, by contrast, you plan to accept payments over the phone or via the internet, you definitely need to take precautions to prevent fraud, which can come in the form of customers using stolen credit cards to purchase your products, or issuing fraudulent chargebacks in an effort to get your goods for free. Increasingly, high risk credit card processors are incorporating integrated chargeback management and fraud prevention tools and services into their platform. And often, they include these services for a minimal additional cost, when obtaining them on your own would be much more expensive and difficult to integrate. So if you plan to accept phone or eCommerce payments, it makes sense to look for a merchant account provider that includes these services as part of their overall package. If there’s a particular type of hardware, software, or shopping cart you want to use with your small business or its website then one of your first considerations should be to look for a credit card processor that is compatible with the platform you want to use. That’s because having to develop your own compatibility after the fact can be very expensive and tedious. Typically, the easiest way to find a compatible credit card processor to your platform provider is to simply call the platform provider. They’ll usually have a list of preferred credit card processors that they are fully integrated with. Sometimes, these providers can be a little more expensive (because often they’re giving a cut of the revenue to the platform provider for the referral) so if it’s a pretty mainstream platform (e.g. a WordPress shopping cart, or a major point of sale system), you can also just call some credit card processors and ask them if they integrate, and if so to provide you with a quote. Selecting a credit card processor is a major long-term executive decision for a lot of small businesses that will have a big impact on working capital for the business later on. Unfortunately, most businesses make the decision without really ever considering their options. Most small businesses either choose their local bank to be their credit card processor simply because their banker asked, or go with the first salesman that shows up at their new business’ location, often without realizing that they may be paying more or receiving less than they otherwise could be. But by considering the four factors discussed above, small businesses can obtain credit card processing services that is a better fit for them.